Tony just might be the most influential banjo player in the roots music world. Ever since he heard the Kingston Trio play “Charlie and the MTA” in 1963, he’s been cooking up banjo magic. 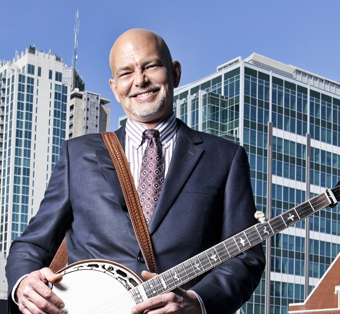 The New York Times has dubbed him “the godfather of what’s sometimes called new acoustic music,” Billboard Magazine has called him “one of the most impressive banjoists alive,” and the Banjo Newsletter has declared him the “most influential banjo player of the latter part of the 20th century.” He’s won several IBMA awards and an Independent Music Award, as well as earning a Grammy nomination. 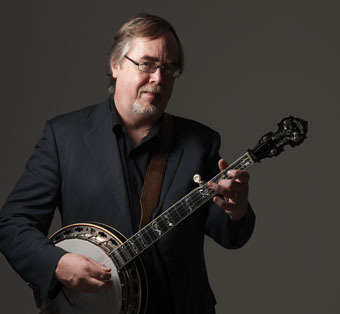 In addition to his more than 30 albums, he’s worked on films and documentaries – Driving Miss Daisy and Give Me the Banjo – appeared on A Prairie Home Companion, Mountain Stage, and Late Night with David Letterman, launched the online Tony Trischka School of Banjo, and published two books. 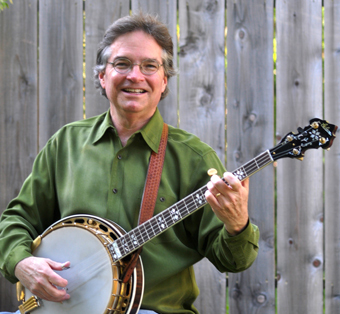 Sammy is a five-time winner of the International Bluegrass Music Association’s award for Banjo Performer of the Year, as well as the winner of the Steve Martin Prize for Excellence in Banjo and Bluegrass. He leads the red-hot Lonesome River Band, which recently celebrated their 30th anniversary. When he was four years old, his grandfather gave him a banjo fashioned from the lid of an old pressure cooker, and after learning his first two songs, he moved on to a real banjo. By age ten, he was performing in local bands in and around his hometown of Meadows of Dan, Virginia, and at 19 he joined a band which eventually became the Virginia Squires, bringing him under the influence of banjo legend Sonny Osborne. Sammy has been a banjo innovator for his entire career. If you walk around at just about any gathering of banjo aficionados, you’re likely to hear licks and phrases that he originated. Bill is also an author – his Banjo for Dummies is the best-selling banjo instructional book in the world – and, like Sammy and Tony, he’s a banjo life force. His latest album, In Good Company, topped international folk and bluegrass charts and made numerous “Best of 2012” lists. In addition to co-hosting the popular All-Star Bangers & Grass monthly concerts in Kensington, Bill has recently played at the Freight with Melody Walker & Jacob Groopman, David Bromberg, the Hard Road Trio, and the Jazzschool Bluegrass Ensemble, which he directs. John Reischman on mandolin, Jim Nunally on guitar, Chad Manning on fiddle, and Sharon Gilchrist on bass will join Sammy, Tony, and Bill to make some unforgettable music tonight at the Freight!